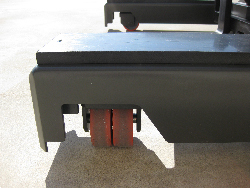 Base capacities range from 3500 - 8800 lbs. A straddle walkie wtih a stationary mast that steers in 4 directions. 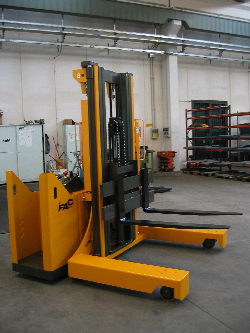 The flexible walkie side travel lift also available as a ride-on model. 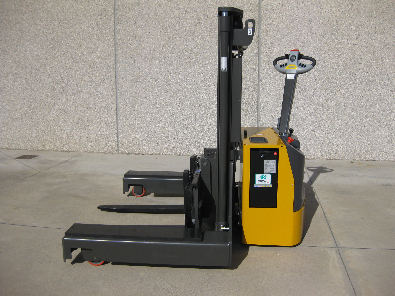 The mast remains stationary and the load wheels pivot 90 degrees to allow side and front travel.